This article was originally published on 5th May 2012. In celebration of reaching 400 episodes of Tranquility Base comic, I invited you to ask me (almost) anything, and some of you did. So, here are my answers. There were a variety of questions covering aspects of the comic story, being a LEGO fan and even a couple of questions for the characters. So, I've split the questions up by topic, rather than by individual questioner. Some of you were trying to find out about the plot of the comic, it's implications and possible future directions. Much, much bigger, with an elaborate monorail network, a massive spaceport, tall communication towers and biodomes everywhere. Ok, it still does have those things, but you're unlikely to ever see them in the comic! Hmm... how do I answer this? If you recall, Hudson was offered the choice of pressing the "reset" button before the fourth wall was closed (ep. #360). In typical Star Trek: Voyager fashion, the reset would have meant that the Evil Author Avatar plot (and subsequent effects) never happened - although the timey-wimeyness would have happened, because Anderson built his time machine before all of that and it didn't involve the fourth wall breakage. However, the reset button never got pressed (and we don't know if Hudson would have done it), so all those events still happened -- they are just remembered slightly differently by everybody except Hudson. I felt it was important that at least one person knew what really happened, otherwise it means nothing. As to what they remember, I'm going to keep that vague for now. Yes. One day. I'm not putting a time-scale on it though! Then there were those of you who wanted to know what sort of LEGO fan I am. Oh man, this is like Sophie's Choice! Obviously I have a massive affection for the simple Classic Spaceman, but the newer figs that have come out in the last few years have really been exceptionally awesome. So, if I'm pushed, I have to say that right now, at this moment, my favourite all-time minifigure is... Squidman, from the Space Police 3 theme. As soon as I saw him when the SP3 sets were released, I knew I had to have him in my comic! Brick Daddy, Intergalactic Space Pimp, comes a very close second. Do you really need to ask if I own the figs? 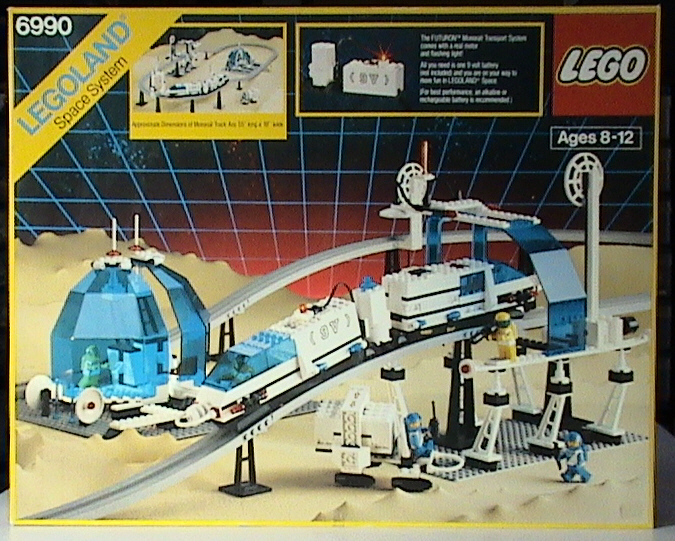 My all-time favourite set is, and will likely always be, 6990 Monorail Transport System from 1987. Yes I do already own that set, it's the same set I had as a kid (along with the extra accessory track). I've obviously added to it as an adult. Thank you for your questions everybody! I hope my answers were satisfactory?